Hawaii is the fastest up-and-coming cruise destination, and already rivals top destinations such as the Caribbean, Alaska, and Europe. In the past few years, Norwegian Cruise Line has turned Hawaii cruising on its head by offering Hawaii-only cruises on American-flagged ships. All other cruise ships, which sail under foreign flags, must call at a foreign port on Hawaii itineraries. Therefore, these cruises are routinely 11 to 15 nights and include a stop in Mexico or Fanning Island. Norwegian, meanwhile, can offer shorter seven-night cruises, which are more accessible to cruisers who can’t take a lot of vacation time. A Hawaii cruise has the advantage of allowing guests to visit several Hawaiian islands in a short time without worrying about interisland flights, multiple hotel reservations, and car rental. The downside, compared to a land vacation, is that you typically spend only one day at each port. If you want to experience Hawaiian nightlife, look for itineraries that include an overnight in one or more ports. If your cruise departs or returns from Hawaii, you may want to tack on a few days extra pre- or post-cruise. Weather in Hawaii is beautiful year-round, so there’s really no bad time to cruise. Typically, the summer months and the winter holidays are the most popular times to visit, with summer also being the warmest time of year. The wet season from November to March doesn’t have much impact on outdoor activities, and temperatures can still be in the high 70s in the winter. Really, the most important booking decisions you’ll make are itinerary length and departure ports. Cruise from the North American mainland, and you’ll have four days at sea between the homeport and the first island (five from Vancouver). 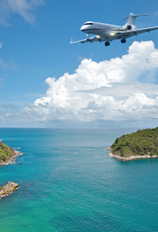 If you don’t want to be out at sea for that long, Norwegian’s seven-night itineraries offer a port each day. The Hawaiian island ports may all offer first-rate water sports and beautiful scenery, but they each have their own flavor. Oahu is famous for its beaches (like Waikiki) and surfing on the North Shore. Other popular tourist attractions are Pearl Harbor and the Arizona memorial. In Maui, visitors can bike down the volcano Haleakala or drive the twisting road to Hana to see breathtaking waterfalls, lava cliffs, and the tropical coastline. Kauai is the most pristine of the islands, with beautiful rivers, canyons, and rainforests. The Na Pali Coast and the Waimea Canyon are prime destinations for hiking or flightseeing. The Big Island of Hawaii offers two ports-of-call. Kailua-Kona is a great place to dive, snorkel, and kayak. If you love coffee, you might want to visit a plantation where the island’s famous coffee beans are grown. In Hilo, you can trek across the crater of an extinct volcano or view the lava flow of an active one at Hawaii Volcanoes National Park. One of the best ways to see the Hawaiian islands is from a helicopter, and you can find flightseeing tours in most ports-of-call. Helicopter rides can break your excursion budget, so you may want to book these tours on only one island. Flights over the active volcanoes of the Big Island, or over Kauai’s scenic coastlines and canyons, will offer the most bang for your buck. 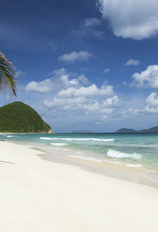 All of the islands have gorgeous beaches, perfect for a day of relaxation. Just choose carefully on the Big Island because its volcanic black-sand beaches are less ideal for sunbathing. The islands are also very easy to navigate by car. In most ports, the major U.S. rental agencies have nearby lots or run shuttles from the pier. You’ll want to reserve a car in advance as prices can go up and agencies can sell out. But compared to shore excursions, a rental car can be an affordable way to tour an island independently. Which cruise lines sail to Hawaii? Celebrity: Celebrity sails 11- to 15-night itineraries from Ensenada, Honolulu, Los Angeles, and San Diego aboard the Infinity, Mercury, and Summit. Holland America: Holland America sails 15- to 17-night itineraries from San Diego, Seattle, and Vancouver aboard the Zaandam. 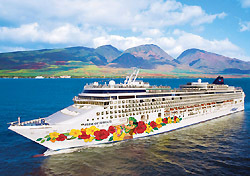 Norwegian: Norwegian sails seven- to 11-night itineraries from Honolulu and Maui aboard the Pride of Aloha, Pride of America, Pride of Hawaii, Norwegian Sun, and Norwegian Wind. Princess: Princess sails nine- to 15-night itineraries from Honolulu, Los Angeles, Papeete, and Vancouver aboard the Diamond Princess, Island Princess, Pacific Princess, Regal Princess, and Tahitian Princess. Princess also includes Hawaii on its 29-night and longer South Pacific cruises, and is sailing a special anniversary cruise to Hawaii and the Midland Islands in 2007. Royal Caribbean: Royal Caribbean sails 11- to 15-night itineraries from Honolulu, Los Angeles, San Diego, and Vancouver aboard the Radiance of the Seas and Serenade of the Seas. For more information about Hawaii cruises, contact the cruise line or a travel agent.